And if I'm spending $2-3K on suspension stuff, I'm going with a set of coilovers. Only issue is that then you would have to work to get it dialed in. Buying a complete package from FRPP would be "fire-and-forget" simple. For a non Boss street car I'd go with the tried and true Sam Strano suggestions with Koni Yellow's and Steeda sport springs. You'd be able to dial in your street setup and have some adjustment left over for an occasional track day. BTW the 302S wheels are more reasonable than I expected. The marketing material states "lightweight" racing wheels for the LS. I wonder how much, if any, lighter they are compared to the the Boss wheels. I'm not going to order the mats. Aren't there some aftermarket companies that embroider anything you want on mats? That's the ticket to have them more closely match the seats. Last edited by 5 DOT 0; 1/31/11 at 06:13 PM. I have konis w/ eibachs now, and I like them; if we're talking a few grand, then single- (or maybe double-) adjustable coilovers is my vote. I asked American Muscle and another Mustang parts vendor about this in Dec. AM emailed back and said no, they included the names of two of their suppliers. They did not sell directly to the customer, I emailed them anyway but both said no. 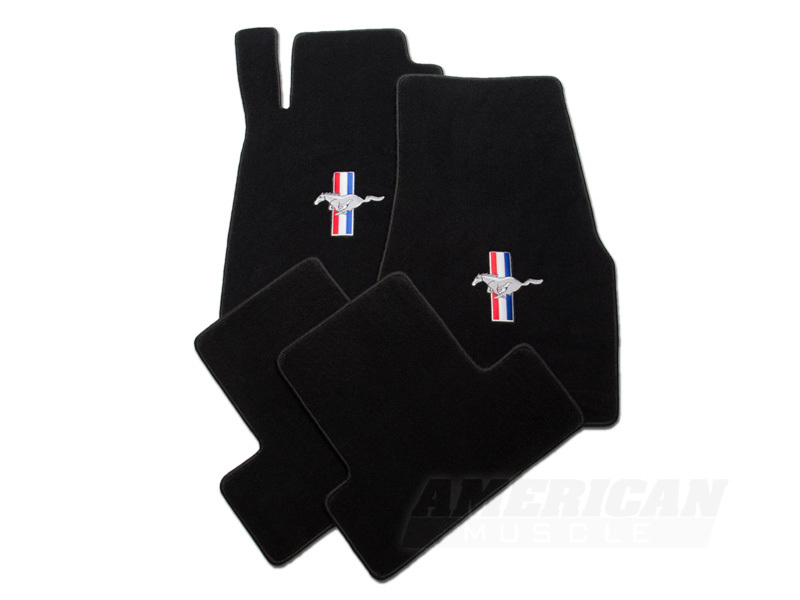 I also asked American Muscle if I could get a set with the Ford Racing Logo, no luck. 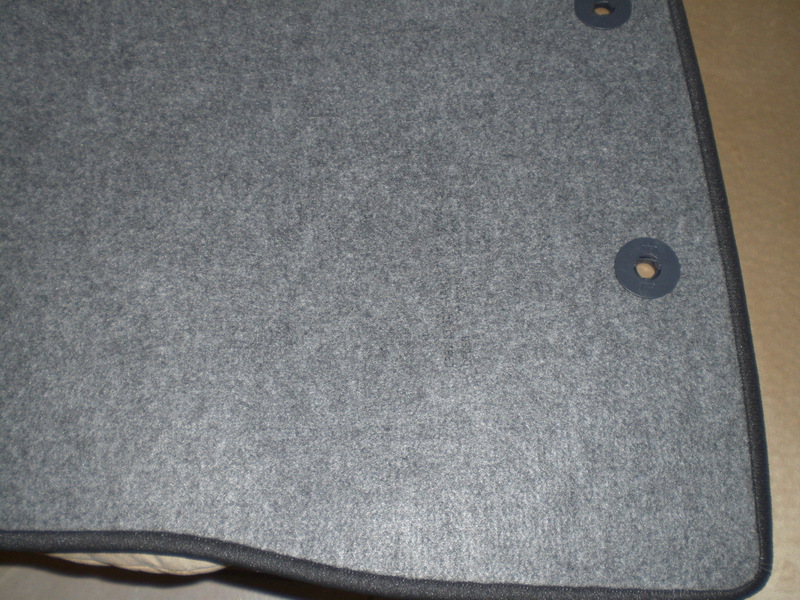 Also the mats they have are Black-Black and not Charcoal Black. It may be possibile but I stopped looking at the time. Another thing is the mats are different, could just be the standard photo for the website? 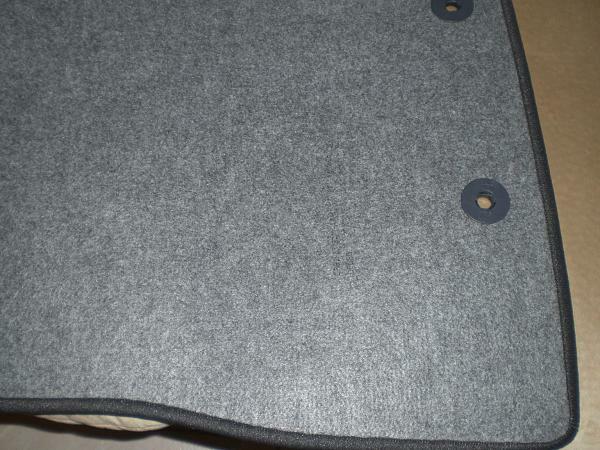 However you can see a big difference in the backing, the mats I just got weigh about 2 ounces. Last edited by 2012YellowBoss; 1/31/11 at 06:49 PM. I had custom mats made for my 06 with the Mach 1 logo, just not sure who made them. They even sent me a couple of pieces of different color red carpet to match the color of the original red mats. I see Lloyds make custom mats with all kinds of Ford logos, but they have to be ordered through a retailer. I think at one time I called Lloyds about getting custom mats made and they said they would be close to $300 at the time. Here is the link to there logos...http://www.lloydmats.com/logos_FORD.htm . I'll try and find out who made mine. 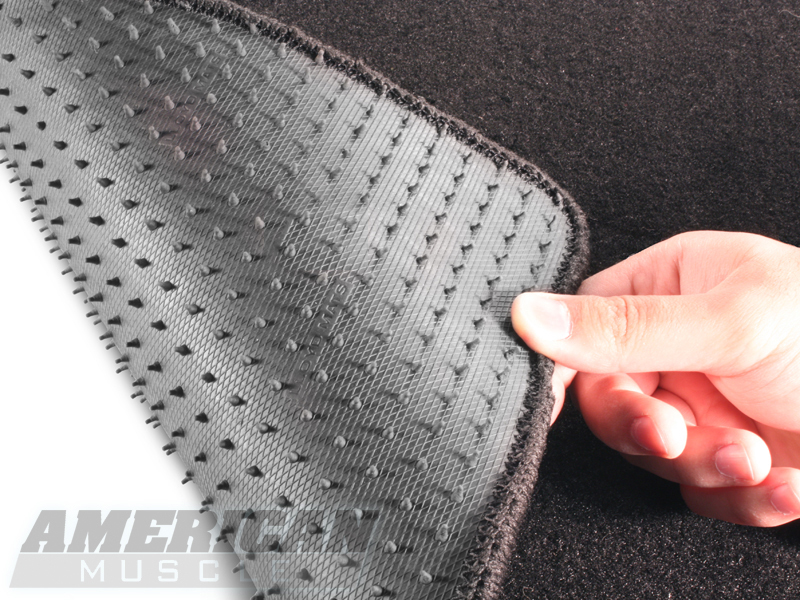 For the mats, what I think would look killer, would be a silhouette of the C stripe with the Boss 302 logo inside it, going down the side of the mat. It would dress it up some. Your idea may be okay. The link shows nothing to reflect. After seeing those mats, I canceled the cover + mats option. I can't remember who it was, but someone thought they weren't going to sell the car cover/mats as accessories. I wouldn't be adding those to my purchase unless I was absolutely sure I wanted them. I wonder how many people here have cancelled their mats/cc order since yellowboss posted his photo? I did . The car comes with mats. Just need to get some cool stitching on them. So you cancelled your order without even knowing what the cover looked like?